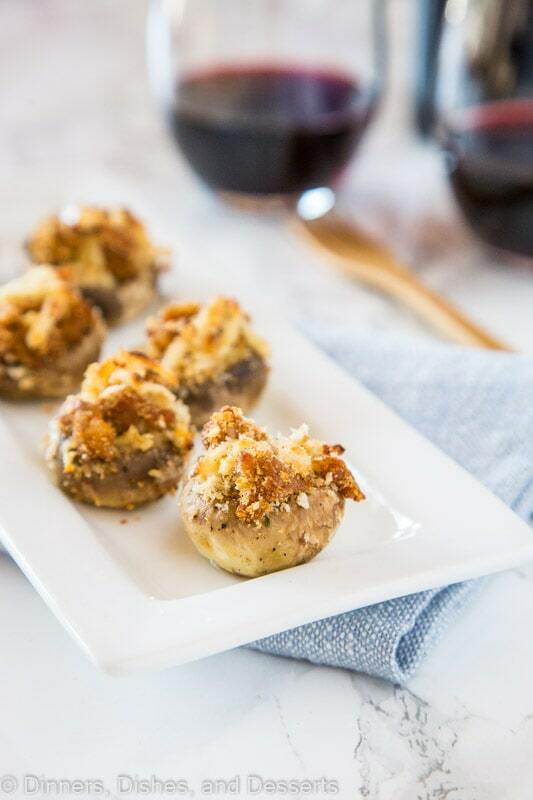 Stuffed Mushrooms – A great appetizer for just about any occasion. 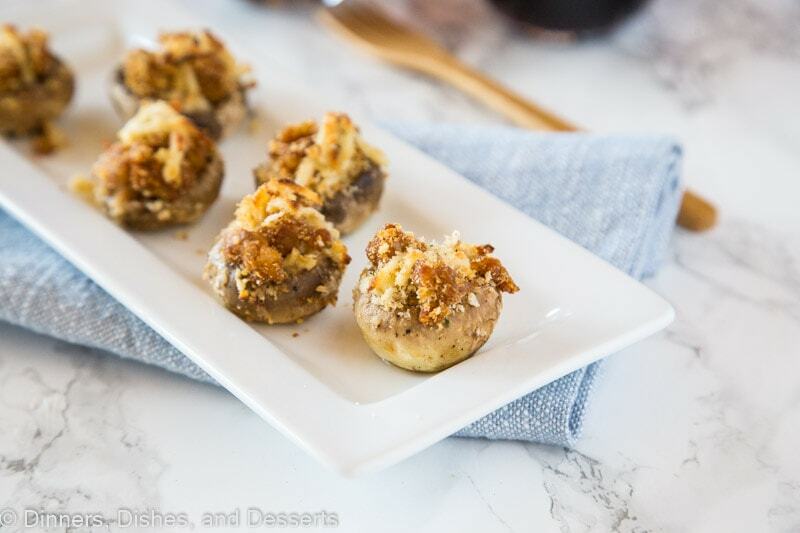 Sausage stuffed mushrooms are full of Italian seasoning, sausage and plenty of cheese! I am a huge fan of mushrooms. 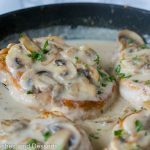 I will put them in just about anything Smothered Pork Chops has a creamy mushroom sauce that is great on just about anything. My family doesn’t love them as much as I do, but I would have them just about ever day. 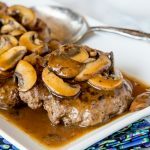 Hamburger Steaks with Mushroom Gravy is a great budget friendly weeknight dinner to get your mushroom fix. 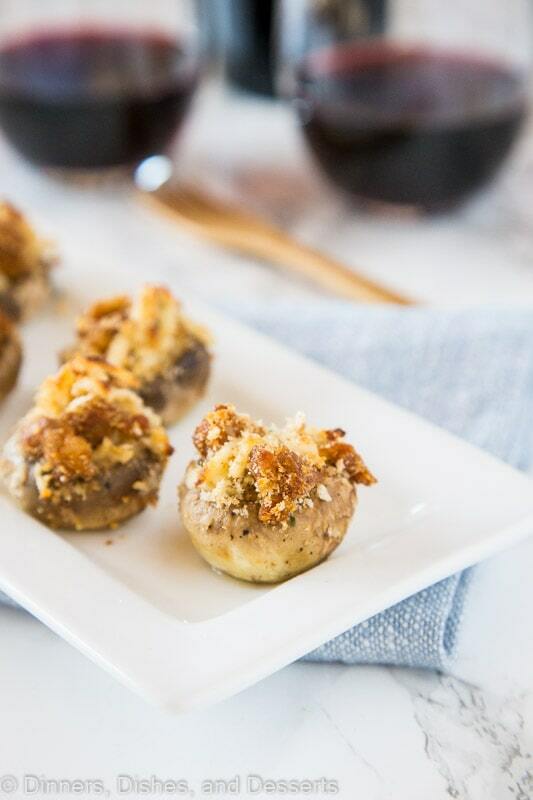 But if you are throwing a dinner party and need an appetizer, or just want a tasty little snack, these stuffed mushroom are it! 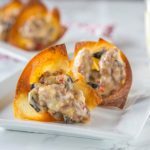 I have been making this stuffed mushroom recipe for years. I think it started as a recipe from my brother. We were hosting a party probably 10 years ago, and he served these mushrooms. Over the years they have been slightly changed to these perfect little popable bites! 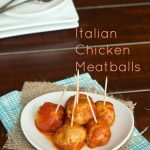 I like to use spicy Italian sausage so you get a little more flavor, but if you aren’t one for heat, regular Italian sausage works great too. The cheese ties it all together so they get all melty and delicious. 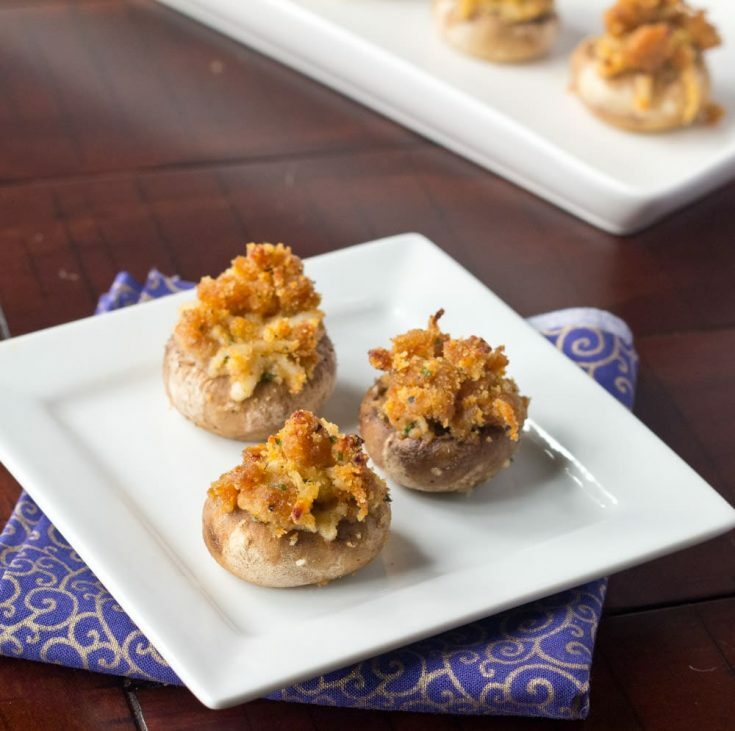 Nothing like these easy stuffed mushrooms to impress at your next party. Start by browning the sausage. 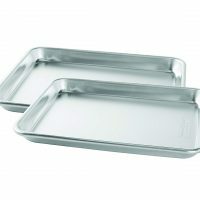 Once it is broken apart and fully cooked, you want to drain away any grease. I like to put paper towel on a plate and let it absorb the grease while the sausage cools. Let the sausage cool before mixing the filling. You don’t want the hot sausage to melt the cheese before you fill your mushrooms. Mix the filling and then you are ready to start stuffing. You can store the filling in the fridge until you are ready. It is great to make the day ahead. 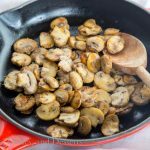 Fill the mushrooms using a teaspoon. You will get a lot of filling in each mushroom, if you are using white button mushrooms. You can pile it up on the top, as the cheese melts it will all stick together. You can place the filled mushrooms in the fridge until you are ready to bake them. Bake the mushrooms until they are hot and bubbly. They are best served warm, but even room temperature they are still tasty. Yes, you can definitely make the filling ahead of time. You can even get to the point of filling the mushrooms. Just place them in the fridge until you are ready to bake them. They are best prepared the day before and then just baked the day of right before you want to serve them. Yes, the mushrooms can be frozen. I would not freeze them after they are baked. But if you want to make them ahead and freeze them that works great. Completely thaw them before baking. Stuffed Mushrooms - A great appetizer for just about any occasion. 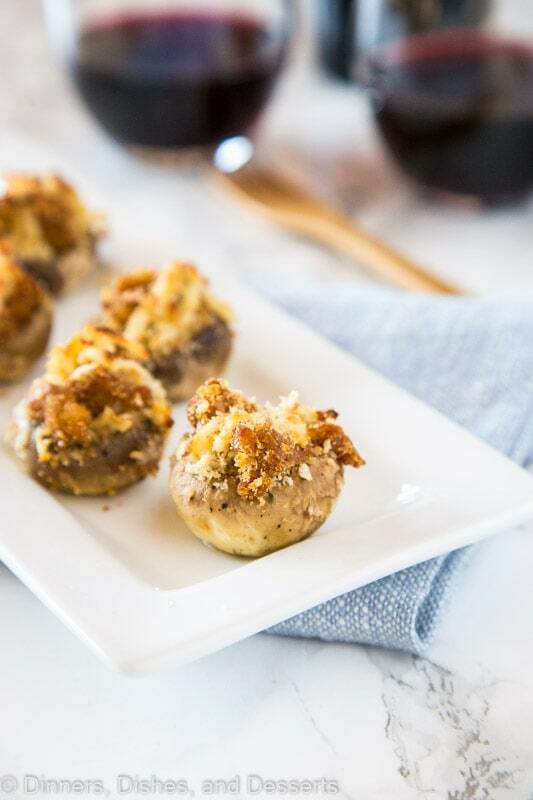 Sausage stuffed mushrooms are full of Italian seasoning, sausage and plenty of cheese! Additional Mozzarella cheese, , if desired. Brown the sausage in the large skillet. Add the garlic, and cook until the sausage is no longer pink. Drain the fat away. In a bowl mix together the sausage, bread crumbs, panko bread crumbs, and the cheese. Stir until everything is well combined. Line up the mushrooms on a baking sheet. Drizzle a little olive oil over all of the mushrooms. Sprinkle with a little salt and pepper. Fill each mushroom with about 1 tsp filling, depending on the size. Sprinkle with additional cheese, if desired. Bake for 5-10 minutes, until the cheese is melted. Best served warm. 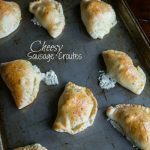 Erin, these look so yummy – what a great little nibble for a New Years celebration! 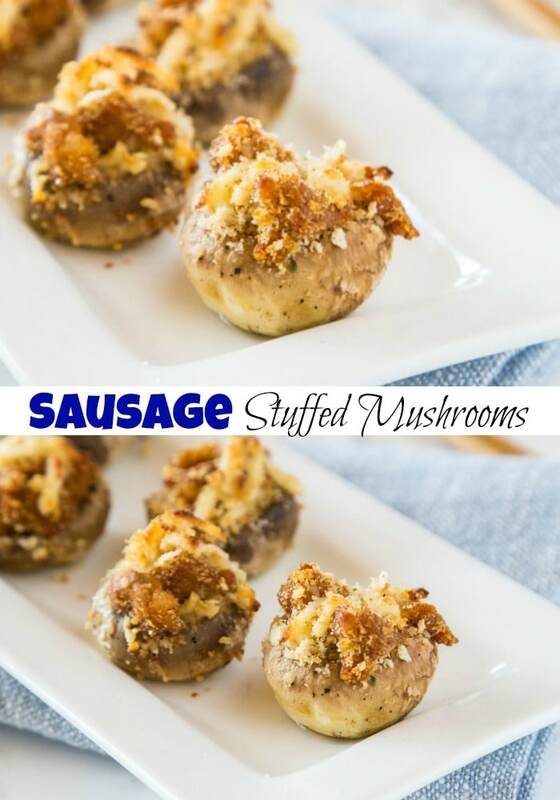 I love these flavors…we love stuffed mushrooms! 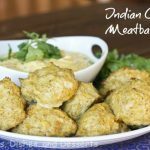 One of my favorite appetizers! I am actually making stuffed mushrooms for a cocktail party I am throwing tomorrow. Yours look tasty. Glad you had a nice Christmas! We had a nice Christmas also. Glad to hear yours was nice and quiet and, hopefully, pretty stress-free. Mushrooms were the first “vegetable” that I enjoyed eating as a child. 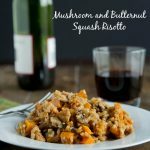 Especially stuffed mushrooms – love them! 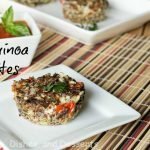 Love stuffed mushrooms, what a great appetizer! Another yummy recipe to put on the list of appetizers for ringing in the new year! Sometimes quiet, peaceful holidays are the best. It sounds as though you had a good one. And how I love stuffed mushrooms. I could eat a dozen of these. Stuffed mushrooms are one of my favorites too, and I so rarely get a chance to make them. I’m long overdue and craving them big time after seeing yours! I adore stuffed mushrooms, actually, mushrooms in any form. Can’t wait to make these for New Years! 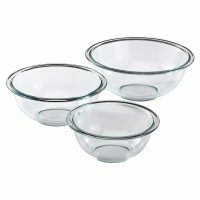 Could i put a marinara sauce with these? As a dipping sauce, that would be great. They are Italian based, so I am sure it would go well together! Stuffed mushrooms are my favorite!! These look SO good!! These are always a party favorite! Usually the first appetizer to go. Oh, wow..these look so tasty!! They’d be a perfect appetizer for any occasion! 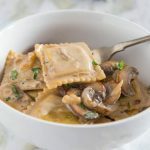 Mushrooms are my favorite veggie; these look like little bits of heaven! What an amazing appetizer! I’ll be making these for Easter brunch; so yummy! These mushrooms look like it would be so good. I definitely need to make these soon! I love mushrooms, I didn’t think they could get any better! Looks absolutely delicious! 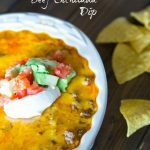 This appetizer takes it into a whole another level, need to try this soon!